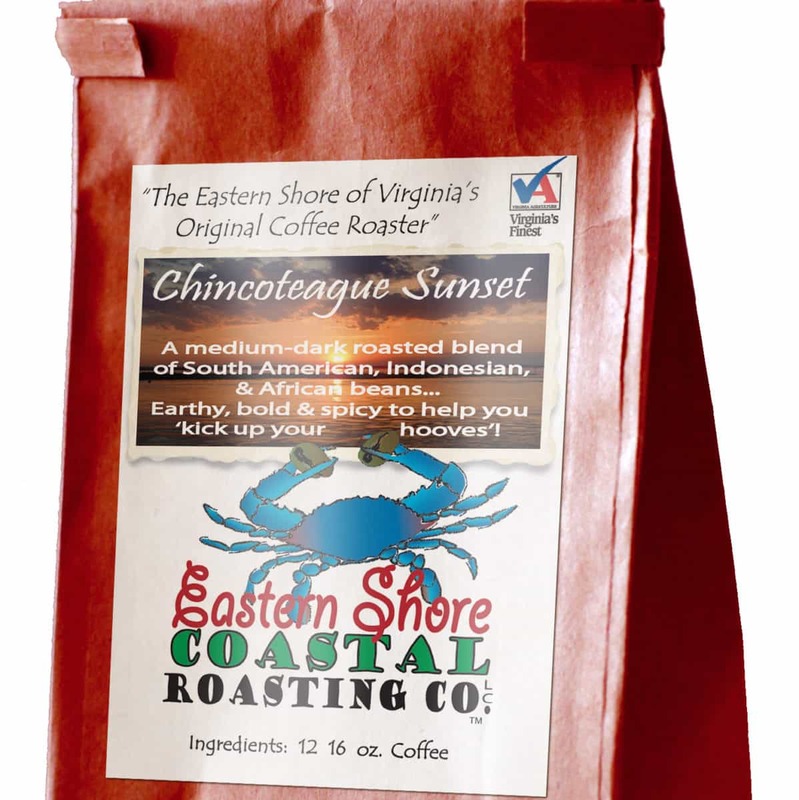 Chincoteague Sunset | Eastern Shore Coastal Roasting Co.
A medium-dark roasted blend of South American, Indonesian & African beans. Earthy & bold with hints of Spice to help you “kick up your hooves”! Choose an option12 oz.2.5 Lbs. Finished label sizes are 3 inches wide and 4 inches high. We accept jpg, png, gif, and pdf files. 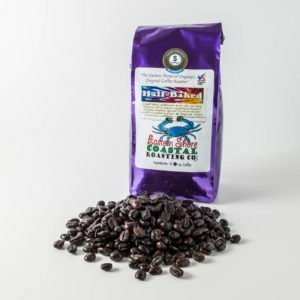 If you do not have your image ready now, please email it to artwork@coastalroast.com with your name or order number. ISN’T THAT WHERE MISTY THE PONY LIVED? Misty of Chincoteague is a novel written by author Marguerite Henry in 1947. It won the Newbery Honor in 1948 and became a children’s classic, second only to Black Beauty. The 1961 film Misty was based on the book Mrs. Henry was inspired to write when she traveled to Chincoteague Island to witness the annual Pony Roundup and Swim. Adding a custom label to your coffee makes it the perfect gift for any occasion. Send us a photo or graphic that you want to use, and we will create a custom label just for you. There is no minimum order quantity and you will of course get to see the label before we print it. *One-time setup fee of $35. 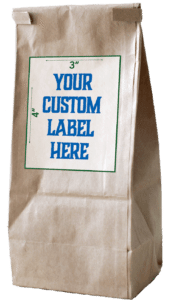 Custom labeled bags are $1.50 extra each. Choose an option… 12 oz.2.5 Lbs. 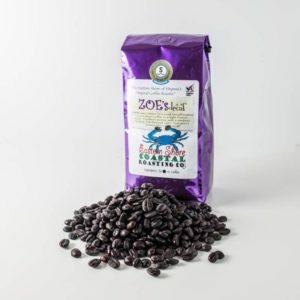 We are a family-owned coffee roaster committed to sustainability on the Eastern Shore of Virginia. If you have visited the Eastern Shore, or have tried our products in the past, thank you for your continued business. We are glad you dig the java! For those of you who have found us on the web & deciding whether or not to try our beans, please take a moment to read some of our reviews, & don't hesitate to give us a try! 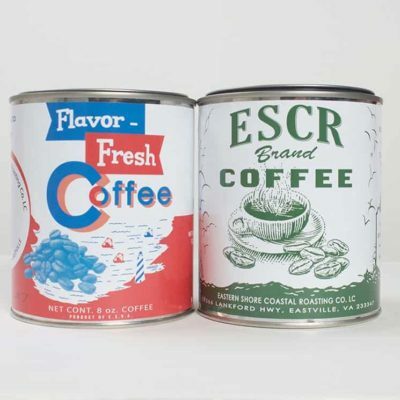 © 2019 Eastern Shore Coastal Roasting Co.